In a surprise move Ofcom today announced that it had revised its invitation for applications for community radio services in the East of England. The change regards Southend-on-Sea where it had previously said there were no available FM frequencies for a new community radio service. Apparently one of the main concerns was interference from a very high power transmitter in Lille, France, although potential applicants in the area say they have never noticed any French stations receivable on the FM dial in their area. 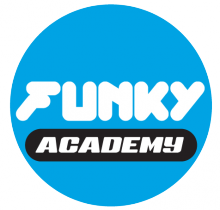 This is great news for (currently) internet-only station Funky SX who won £50,000 through ITV’s the People’s Millions to establish a youth-led urban and dance music radio station for Southend-on-Sea. This entry was posted in Uncategorized on November 12, 2014 by radiohead.